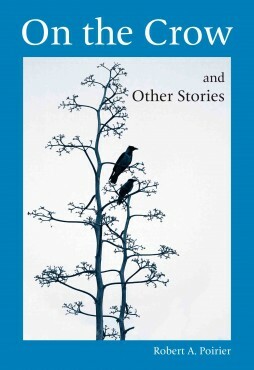 In Books Tagged In Algonquin, Books on Quebec, Maniwaki, On The Crow, Quebec, Quebec Fiction, Short Stories, and Washika. From love lost on a canoe trip, clashing values and naked conflict between natives and newcomers, to the barroom and prison enforcer straight out of a Johnny Cash song, Poirier writes vividly about the people and land he loves and inhabits. In six stories and one novella, readers escape the big city, live in the wilds or small tough Quebec towns, and experience the challenges of nature and human nature in all their complexities. Otto fixed his eyes on Karl’s. His pupils were not the contracted black points they were when he overdosed on methadone, or when he had managed to find some good heroin. Now, the pupils of his eyes were large and black as he stared steadily into Karl’s eyes. A master storyteller, Bob Poirier crafted each story as a present for a close friend or family member. He then revisited them to produce this collection. His warmth and affection for both reader and subject breathe life into everything he describes: the smell of smoke and bacon in winter bush cabins, the Alaskan Malamutes smiling as they sprint with their sleds across snow-covered lakes and rivers or the robot-like riot squad policemen marching forward on boiling hot tarmac. Bob Poirier lives in the log cabin he made on his land near Maniwaki, Quebec. He studies Algonquin, embraces Algonquin spiritual beliefs, and treats and cares for all species of fauna at his wild animal rehabilitation centre.